The Cleveland Browns have made a lot of moves through trades and free agency over the last week, so we thought it was only fair to give our assessment of each move in detail. 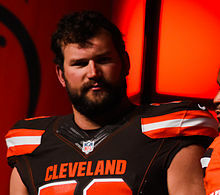 You were doing good until the Joe Thomas assessment. “I’m glad he took his time and came up with a decision that was best for him”. Wow, sounds really selfish. Joe took his ball and went home. Let’s celebrate.